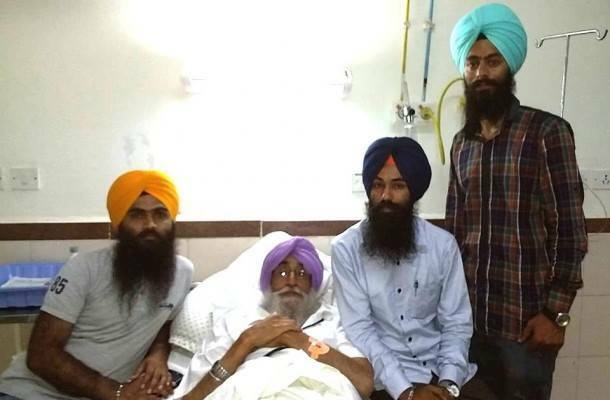 Chandigarh:- Dal Khalsa team comprising Kanwar pal Singh, Satnam Singh, Dr. Manjinder Singh, Ranvir Singh, Nobeljit Singh recently met Bapu Surat Singh Khalsa at PGI and inquire about his health and discussed the developments related to release of Sikh political prisoners. 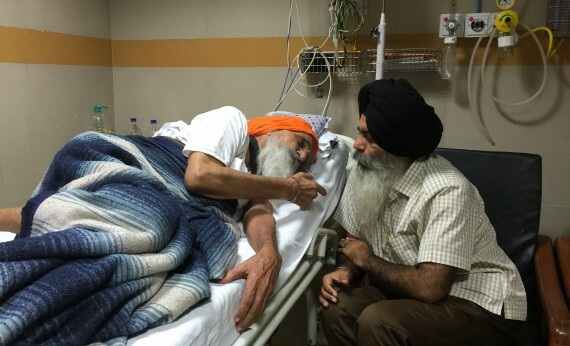 The members wee praised of steadfastness and commitment shown by Bapu Surat Singh, who is on fast into death since Jan 16 seeking release of those prisoners who have served maximum sentence and were being discriminated by state’s biased policy towards them. The team members also met Shiromani Akali Dal (Amritsar) president S. Simranjeet Singh Mann who is admitted at PGI because of heart problem. They prayed for speedy recovery of S. Mann. They discussed political situation with him too. Previous post UK News: A Sikh Man Is Attacked In Revenge For Lee Rigby. Next post 4 Benefits Of Doing Cold Water Ishnaan In The Morning ;Why You Need To Take Cold Showers ?